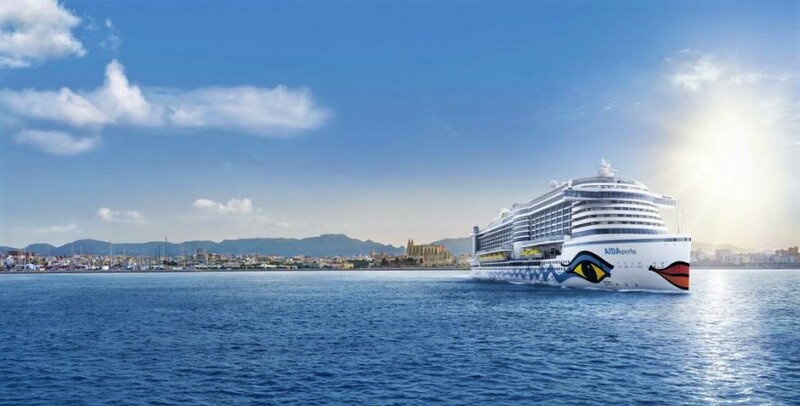 German cruise line AIDA Cruises announced AIDAperla, its newest cruise ship which is currently under construction at the Mitsubishi Heavy Industries shipyard in Nagasaki, will enter service in July 2017. 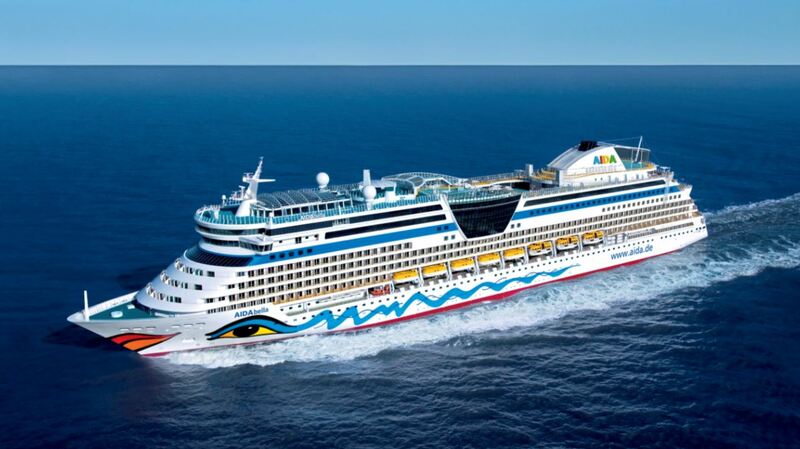 Contrary to sistership AIDAprima, whose delivery was delayed by months, the shipyard will finish construction of AIDA Cruises’ twelfth cruise ship, two months earlier than originally planned. After her arrival from Japan, AIDAperla will start sailing the Western Mediterranean on July 1, 2017. The capital of Palma de Mallorca, the German’s favorite island, and Barcelona are the start and end ports for the seven-day “Pearls of the Mediterranean” cruises. On these cruises AIDAperla will be making stops at the island of Corsica, Florence/Livorno and Rome/Civitavecchia. With her early arrival the new AIDAperla will be taking over the routes AIDAbella was planned to offer between June 30 and August 26, 2017. Guests who have already booked a cruise on board AIDAbella will now be the first to experience all the amenities and features the new flagship has to offer. These include a covered beach club, indoor and outdoor (infinity) pools, a lazy river and two glass skywalks. Furthermore the newest ship in the fleet offers a choice of 12 restaurants, 3 snackbars and 14 cafés and bars. AIDAbella will reposition to Northern Europe, creating more travel opportunities during the summer season. The exact itineraries and destinations are to be released in the near future. Starting September 1, AIDAperla will be setting sail on her previously announced routes to the pearls of the Mediterranean. These include seven-day cruises departing either from the capital of Palma de Mallorca or Barcelona. On these “Pearls of the Mediterranean 1 & 2” cruises, AIDAperla will be making stops at the island of Corsica, Florence/Livorno and Rome/Civitavecchia. Two other itineraries, the “Pearls of the Mediterranean 3 & 4” cruises, will stop in Florence/Livorno, Rome/Civitavecchia, and overnight in Marseilles. These cruises will also begin in Palma de Mallorca or Barcelona. 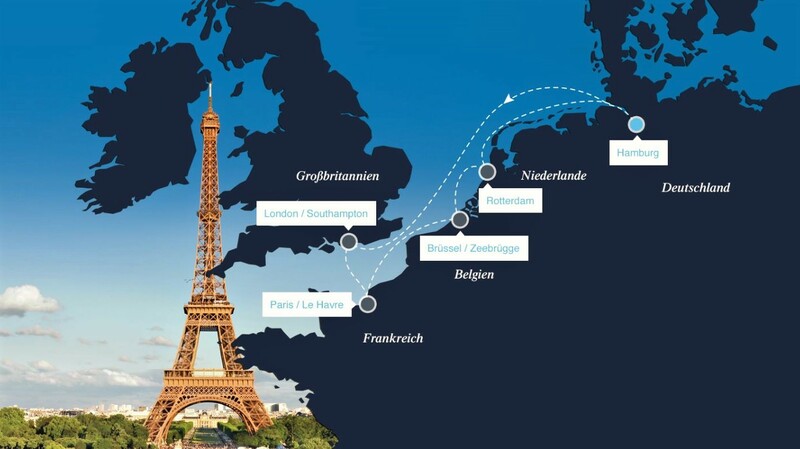 In March 2018 AIDAperla will reposition to the Hanseatic City of Hamburg, from where she will offer AIDAprima’s current seven-day round trips to London (Southampton), Paris (Le Havre), Brussels (Zeebrugge) and Rotterdam. Meanwhile AIDAprima is sheduled to reposition to the Canary Islands in November 2017 and switch to the Western Mediterranean early 2018.